My Grandad was devoted to my grandma; always ready to make her a cuppa and laugh at her jokes. He had a wicked sense of humour and a special glint in his eye that meant you could never know if he was pulling your leg. He would scuff around home in his much loved tweed slippers; listening to the static of the wireless radio, playing tricks with us all while we all knew Grandma ruled the roost. My grandad also served at Guadalcanal in the Second World War. The Battle of Guadalcanal was a military campaign fought between 7 August 1942 and 9 February 1943. The battle was costly: the United States lost 5,000 men, 24 ships, and 615 aircraft. The Japanese had more than 21,000 fatalities, 26 ships sunk, and 680 planes shot down. More Japanese soldiers died of malaria and starvation than were killed in battle. The extreme heat, the rugged terrain, the tropical diseases, all contributed to a jungle landscape in which the smell of death lingered. For a young soldier, it was a long way away from his beloved Nita and their three sons growing up in Nelson. Until the day he died, Grandad never referred to that time in the Pacific. We didn’t hear about muddy trenches or explosions that left ears ringing; artillery crashing all around, shell-shock that led soldiers to repress memories that would haunt them forever. We didn’t know about the mutilated bodies or the wounds of the mind that led to fear, anxiety, and psychological trauma. I didn’t even know he had served in the war until long after he left this world. Those who serve their country in wars offshore not only risk lives and withstand the atrocities of war. They also endure the long-term torture of memories that never fade. As we prepare for ANZAC Day next Wednesday, let us remember those with lifelong scars who fought during wars on our behalf. Those 41,000 veterans who live on today, enduring the toll of post-traumatic stress injury; waking in night sweats, suffering dislocation, depression, alcohol misuse, violence. Ka maumaharatonu tātau ki a rātau. Telling the stories of the history that occurred before us has been made a lot easier in today’s technological line. I was recently browsing the ‘online cenotaph’ record – where you can lay a poppy for a loved one, or leave a message. How beautiful to see the reflections of Taua Aroha Reriti-Crofts for her daddy, Edward Teoreore Crofts. Edward was a leading aircrafts man in the Royal New Zealand Airforce who served in World War Two. Seventy years after he lost his life his daughter shares a loving memory, his mokopuna declares that ‘Poua Ted will always be kept alive in the stories, “you’re our hero!”. I love that about technology – that we have a way of communicating which is both public and personal; inviting us all into the love and the legacy of those we share with others. The beautiful shot of Taua Aroha came from a night of celebration and glamour in which Māori Business Women were honoured to recognise their successes in entrepreneurship. With 80 nominated businesses from across Aotearoa, we were particularly proud of Te Waipounamu finalists: Janice Lee (Koha Kai); Monique Gemmell (Koru Institute Training Education) and Tu Maia partners: Janyne Morrison; Cazna Luke and Sacha McMeeking. The Grand Winner of the Te Waipounamu award – sponsored by Te Pūtahitanga o Te Waipounamu – was Tu Maia! We were so proud that our Taumata representative for Ngai Tahu, Jo McLean, was there to present the award. While we’re on the topic of wahine toa, how fabulous was it to read about Te Waipounamu women featured in 125 Extraordinary New Zealand women which was released this week. 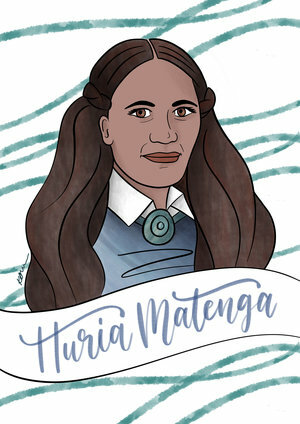 Huria Matenga, (1842-1909) of Ngati Tama, Te Ati Awa and Ngati Toa lived in Whakapuaka, near Nelson; the daughter of Wikitoria Te Amohau of Ngati Te Whiti and Wiremu Katene Te Puoho. On the night of 3 September 1863, the brig Delaware was wrecked on the rocks at ht efoot of the cliffs at Whakapuaka. Huria, her husband Hemi Matenga Waipunahau, and three others repeatedly swam into the wild surf, heroically rescuing all but one of the crew and passengers. Huria’s bravery was rewarded with an award of £50 from the government and a gold watch from the people of Nelson. And while we were strictly forbidden to take any photographs or videos during the performances, I thought I would share just one photo of my girl, Te Puawai and her bestie, Hinepounamu Apanui-Barr, as they prepared to stand last Saturday. It was an honour to attend and speak at the launch of Sharon Armstrong’s book, Organised Deception. Sharon is such a brave source of strength. She spoke about the value of forgiveness; the importance of recognising vulnerability and the pathway to resilience. The Northern Southland Community Resource Centre Charitable Trust has been running successfully for over fourteen years. The office is located in the Lumsden Resource Centre. The Trust engages with whānau via self-referral; referral from community groups and government agencies, and through specific programmes run for the youth or the elderly. The Trust serves a geographically isolated rural area. Kym Spencer-McDonald, the community worker, takes great effort to be responsive and anticipate the needs that commonly arise for new whānau. It might be to ensure that tamariki are warm in the colder climate; ensuring whānau have access to transport, or putting together events such as the ‘Cycle and Celebrate’ event which promotes exercise, healthy lifestyles and community life. 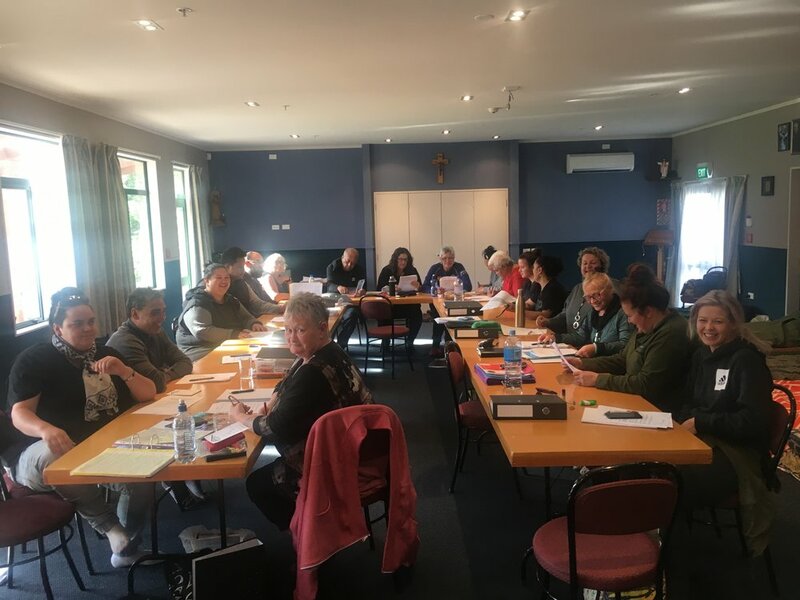 Te Pūtahitanga o Te Waipounamu has been so proud of the work that has been initiated through our Whānau Ora worker – getting people together in an isolated community is so important. While we are down South, it was great to feel the warmth exuding out of Murihiku in the third noho marae being held for the Whānau Ora Certificate and Diploma course. 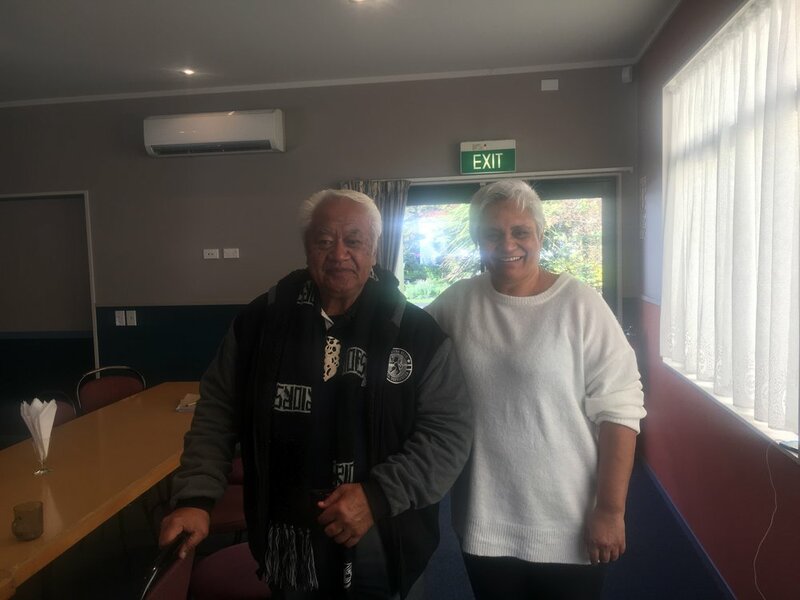 It was particularly special to see the kaumatua of Southern DHB and Te Tomairangi marae Mohi Timoko and navigator Maria Russell from He Ara Hou enjoying their time with the Nav Nation. Tuesday 24 April, 10am-12pm; Impact Investing: Aunnie Patton Power, the founder of Intelligent Impact. Rata Foundation, Level 1, 12 Hazeldean Road, Christchurch. Tuesday 24 April, 1.30pm-4pm; Design Lab, 17 Print Place Christchurch. Mental Health Support in Schools Provider information forum and workshop. Friday 27 April, 9am-11am, Oranga Tamariki site office, Munroe Building, Level 2, 186 Bridge Street, Nelson: Consultation on National Care Standards.